Last Friday I went down to Bath for a long weekend. It was a wonderful and much-needed break after a stressful six months. As I've been so busy since I came back I haven't had time to sort out all my photos and pick the best ones for my blog posts here, and over on my Serena Lake site. So that's my job this weekend. The History of Fashion in 100 Objects at the Fashion Museum was fantastic, and if you get the opportunity do go and see it. Their smaller Lace exhibition was equally as interesting. I'll be doing a couple of blog posts on two smaller and lesser known museums that might get missed if you've never been to Bath before: The Postal Museum, and the Museum of Bath Architecture that is housed in the Countess of Huntingdon's Chapel. I did a lot of walking- fortunately the weather was dry and quite bright, although the evenings were chilly. 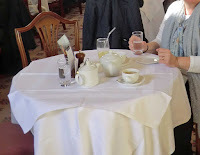 But all that exercise meant I could go into the Pump Room for tea (on Mother's Day) without feeling too guilty. It's very elegant, and there was music provided by a trio of musicians. There are a number of parks around Bath too which are clearly enjoyed by residents and visitors alike. Sydney Gardens, behind the Holbourne Museum, has both a canal and a railway line running through them, though I believe they were actually there before the Gardens were laid out around them. Henrietta Gardens lies between Great Pultney Street and Henrietta Street (where the hotel we were staying at was located), so it was a delightful diversion from one road to the next. Sounds like you had a great weekend, Carol. Nothing like exploring another place to recharge the batteries. Sounds lovely, Carol - looking forward to reading about it and seeing the photos! Glad you had a great time, Carol. The only time I've been to Bath was for a rugby match. See you soon. Love the sound of your visit to Bath, Carol, and feeling slightly envious! Look forward to the photos. 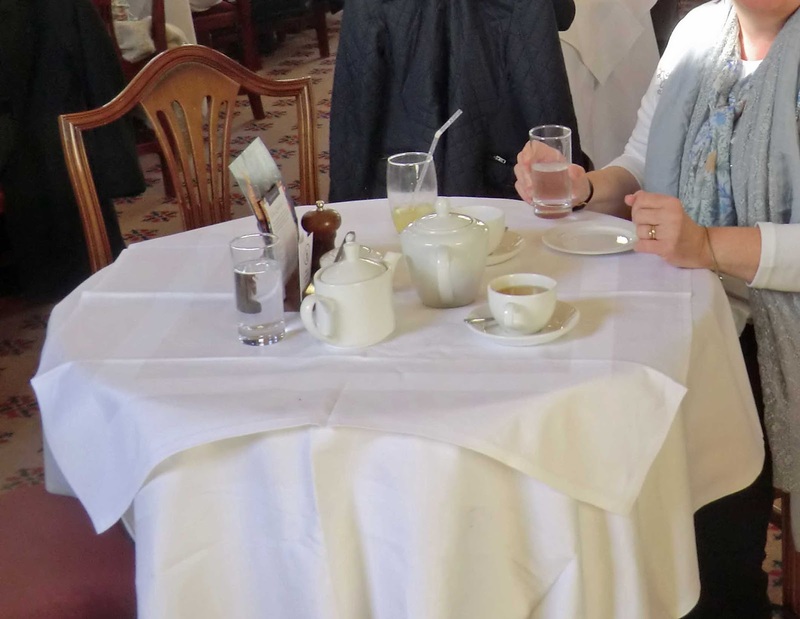 How lovely to have tea at the Pump Room. Susan- you're right; I was quite tired when I set off, and despite all the walking around, going uphill and down, I did come home feeling more relaxed and energised. Keith- I could see the top of the seating at The Rec, every time I was going to or from the hotel. Looking forward to reading more if your a Bath adventures, Carol. Must travel to Bath sometime. I visited it many years ago when I was a student in Bristol and remember it was lovely. Enjoyed your report, Carol.